Brotherton, Director; John Holmes. Director). treatment of them under the Agriculture Bill. have no specific access to financial support. 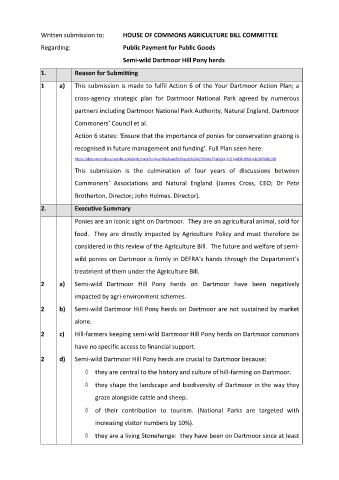 ◊  they are central to the history and culture of hill-farming on Dartmoor. graze alongside cattle and sheep. increasing visitor numbers by 10%).